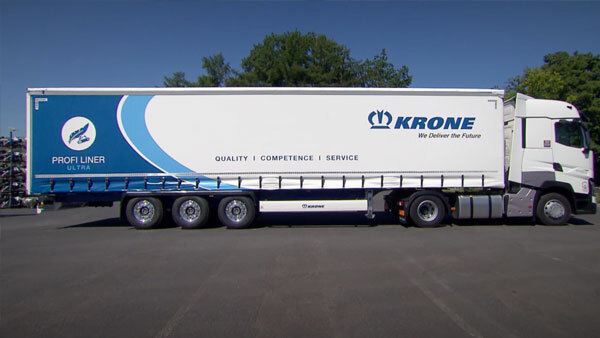 The Krone lightweights for increased profitability. 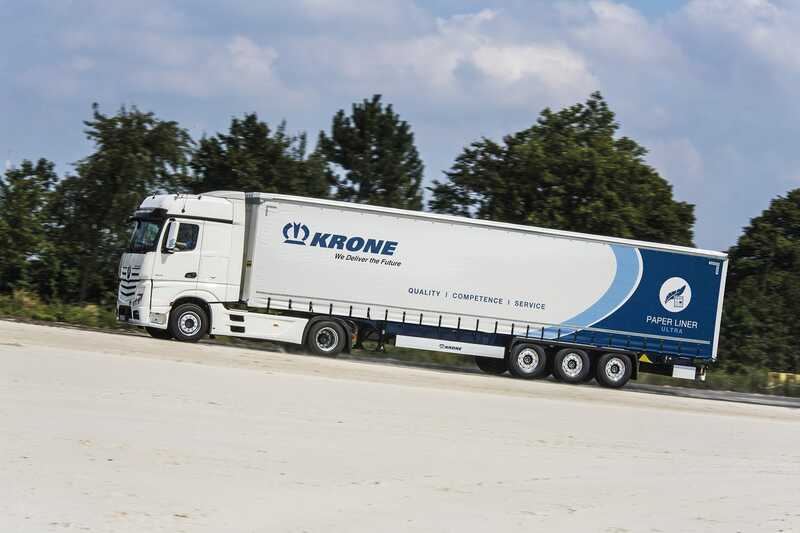 Saving vehicle weight means that you can gain more payload – Krone has followed this maxim in the development of the Ultra version, which is offered for the Coil Liner, Paper Liner, Profi Liner, and Mega Liner series. 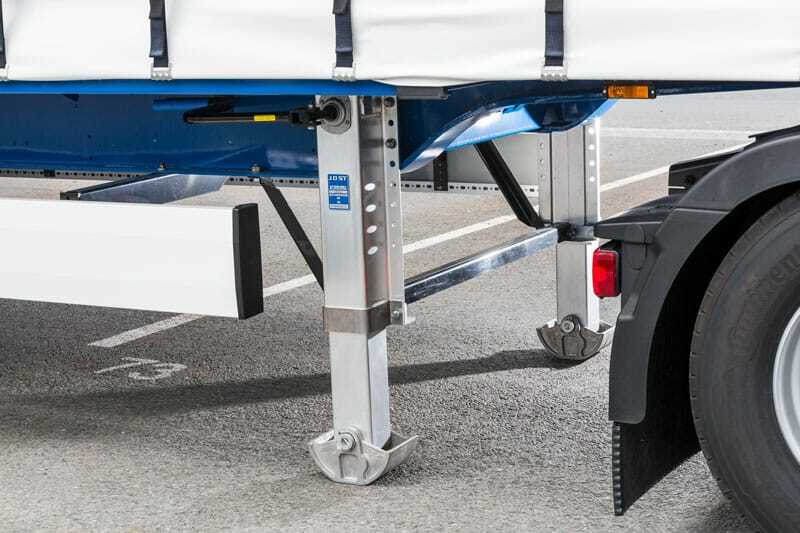 Through the use of new materials and a variety of design innovations, trailer tare weight has been significantly reduced. Increased payload through lower tare weight. Reduction in the number of journeys required. Fuel savings and lower CO2 emissions through reduced transport requirement. 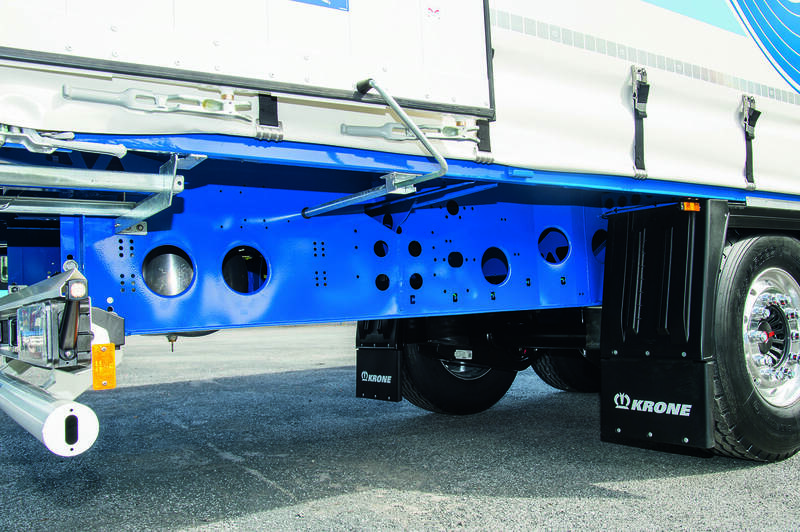 Lower transport costs through reduced fuel consumption and higher payload. 5,630 kg - this is the tare weight of the Profi Liner Ultra - made possible by a number of design innovations. From redesign of the chassis, to the use of light alloy, e.g. for the front bulkheads, rear walls and for weight optimisation of the trailer floor. The result: A significant increase in payload for your day-to-day transport, and up to 5,460 kg fork lift load bearing. The new Mega Liner Ultra stands out as a real lightweight in the volume trailer sector with its tare weight of only 5,950 kg. The key factor in achieving its low weight is the completely redesigned chassis; thanks to the weight-optimised design of the main beams and cross members, it was also possible to reduce the tare weight without losing stability. 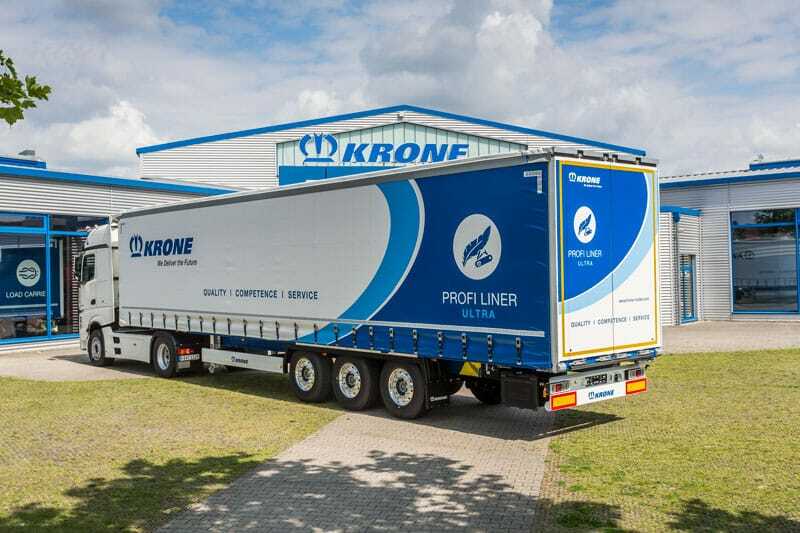 With the Paper Liner Ultra, KRONE offers a trailer that is ideally suited for the professional transport of paper rolls. The basis for this trailer is the modified KRONE chassis with short transverse beam spacing, equipped with running rails for pallet rollers where the rails are attached directly to the chassis. In addition, adjustable wedges can be placed at various intervals to further secure the rolls The tare weight of the Paper Liner Ultra is approx. 780 kg lighter than the standard version, at approx. 5,970 kg. 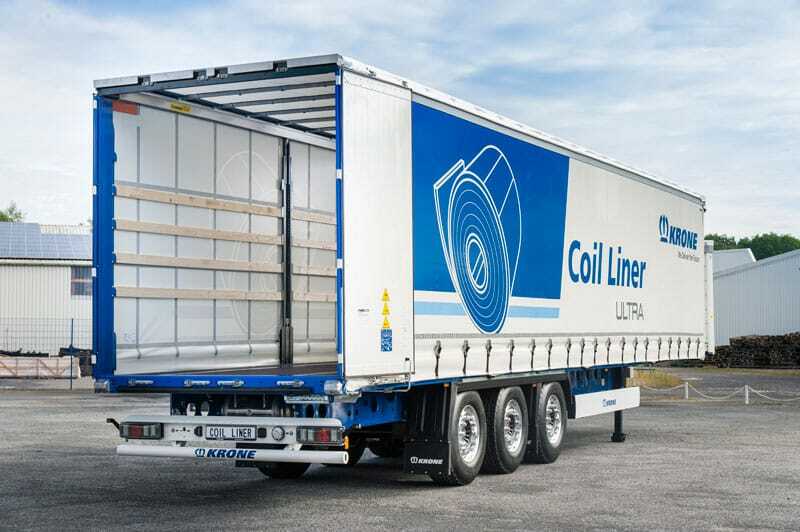 The Coil Liner Ultra has a dead weight of just 5,980 kg. By using fine-grained steel and a variety of design innovations, in the floor and the chassis for example, the dead weight of the Coil Liner has been considerably reduced again – while retaining the full strength and functionality of the semitrailer. The coil well is equipped with post pockets and two coil-securing supports as standard. In addition to that, the sliding curtain coil trailer has the Multi-Lock external frame as standard (with approx. 130 strapping points per side rave), as well as additional heavy duty strapping rings near the external frame, so that the load can always be secured in the best manner possible.